Basseterre, St.Kitts (April 20th, 2018):-After weeks of refusing to present his Dominican diplomatic passport to the Court, Dr. Denzil Douglas has finally conceded that he will hand over his passport to the Judge for inspection. The High Court Judge, Justice Trevor Ward QC granted the order today in the case brought by the Attorney General to disqualify Dr. Douglas from the National Assembly by virtue of his allegiance to a foreign power. 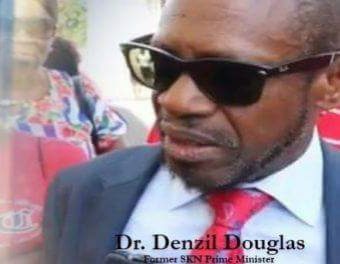 Dr. Douglas, a former Prime Minister of St. Kitts and Nevis, is currently the Leader of the Opposition and represents Constituency Six in the National Assembly. Dr. Douglas must present his Dominican passport to Justice Ward within seven (7) days. Justice Ward will then inspect Dr. Douglas’s Dominican passport and will take note of all the dates and locations when Dr. Douglas has used the passport for travel around the world. Dr Douglas must also provide a certified copy of this information to the Attorney General. Failure to comply with the order could result in Dr. Douglas being imprisoned for contempt of court. This order comes after Dr. Douglas’s lawyers made a variety of excuses to avoid presenting the Dominican passport to the Court, including arguing that Justice Ward had no jurisdiction or authority to inspect the passport. Their 450-page written submission to this effect was filed on 11th April. Mr. Sylvester Anthony, one of Dr. Douglas’s lawyers, has now consented in writing to the order that Dr. Douglas must disclose his Dominican passport to Justice Ward within 7 days. The case against Dr. Douglas is being led by regionally renowned constitutional lawyer Mr. Douglas Mendes SC. The legal team also includes Mr. Michael Quamina and Miss Talibah Byron. The case seeks to determine that Dr. Douglas is disqualified from being a Member of the National Assembly by virtue of holding and using a diplomatic passport from Dominica which lists him as being a Dominican citizen. Section 28 of the Constitution stipulates that Members of the National Assembly must not, by virtue of their own act, be under any allegiance to a foreign power. This stipulation was bolstered by Dr. Douglas in 2009 when as Prime Minister he introduced the National Assembly Elections (Amendment) (No. 2) Act which penalizes Parliamentarians who are under foreign allegiance with imprisonment of up to 5 years and a fine of up to $30,000.00. In an affidavit dated 21st February 2018, Dr. Douglas admitted that he applied for the Dominican diplomatic passport in July 2015. The next hearing in the matter is set for Wednesday 30th May.